Birds are a very sweet creation of nature. Their whistling sounds really inspire us in the morning. You would have heard of a bird cage but that is something lagging compassion towards all creature of GOD. So some wildlife protection organizations might get offended, that is why we have planned to recycle a wooden pallet bird house. 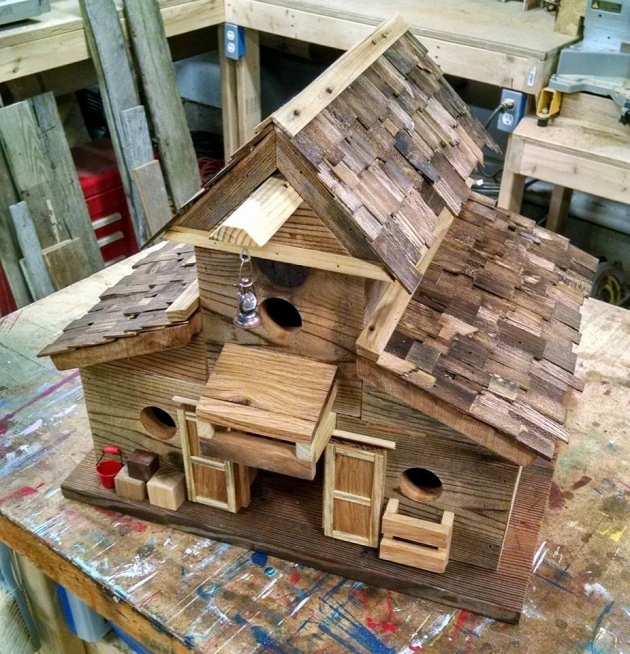 Though we have already worked on a number of pallet wood made bird houses but this one is entirely different. It would do a great service to your pet birds like parrots, pigeons and some others like eagles. This is what I name as pallet wood extravaganza. 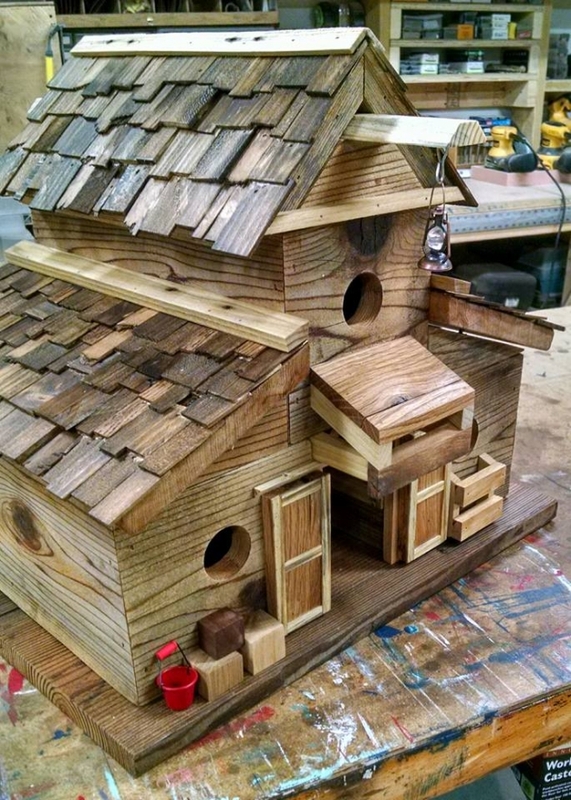 After having all your furniture items done with pallet wood, now it is time do some insane work like making a pallet bird house. But still it is something pretty encouraging for all the pallet lovers. You can give your pet birds a better place to live in. Birds are extremely vulnerable to wild animals and severe weather conditions as well just like human beings. Even a cat or a dog might harm even kill to your pet birds. 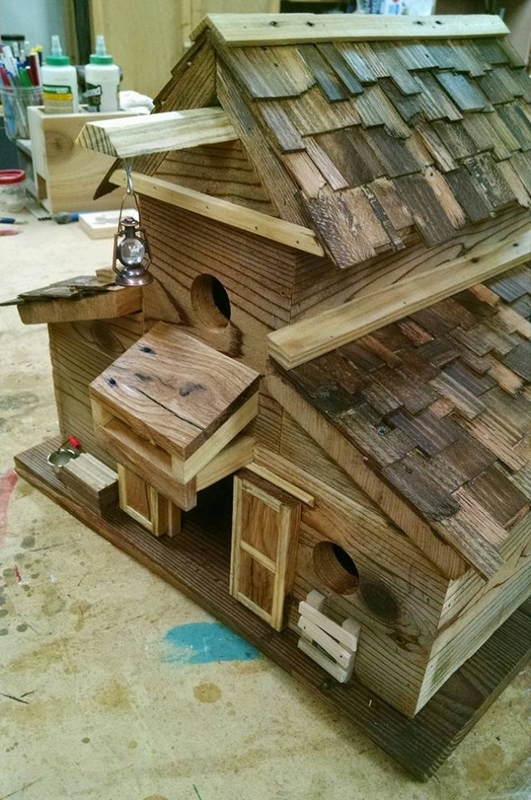 So this pallet wood bird house would be a safe heaven for your pet birds. 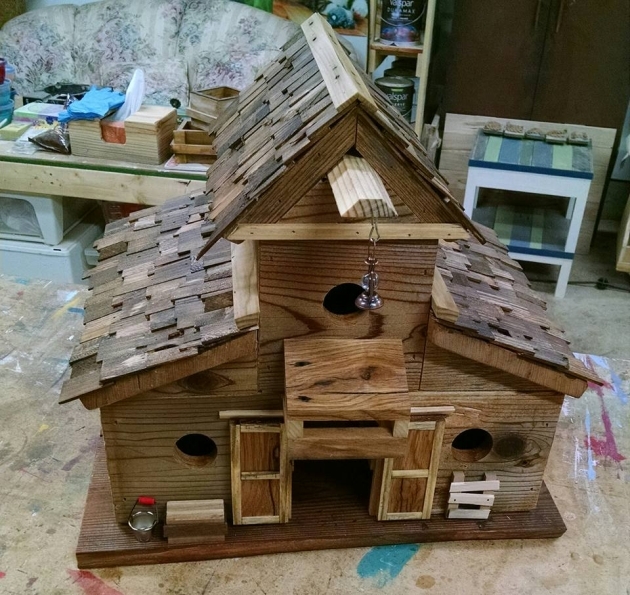 All the pallet crafters having pet birds are strongly recommended to make this pallet wood bird house, they would really get all the expected benefits. Now let’s have a glimpse of the bird house, it has all the features of a full fledge human house from outside view. This pallet wooden bird house has a door, a hut shaped wooden cabin, some essential holes for the ventilation purpose which is mandatory for birds as well. Small pallet wooden patches are used on the upper outward extended slopes. 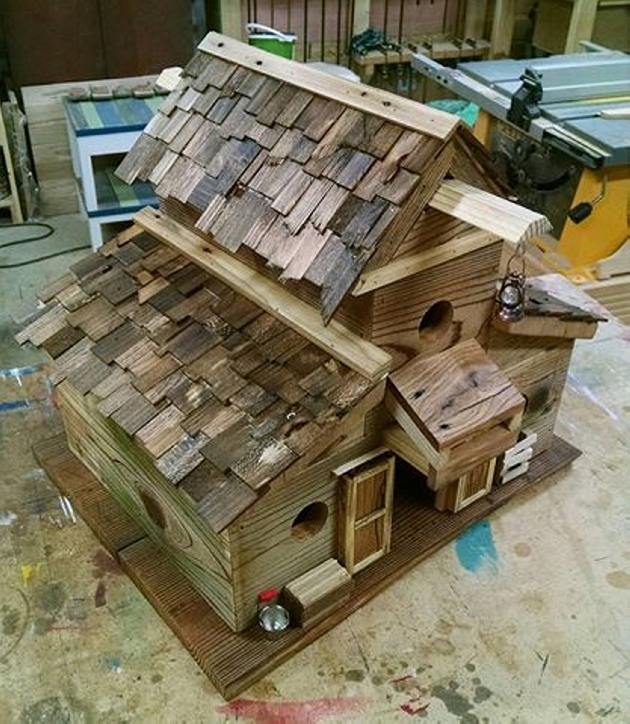 This one is really a model pallet wooden bird house with a charming rustic look.